There are periods of time when I don’t write, when I’m in between projects and just need to let my words simmer for a while. When I’m not writing, I’m reading books about the craft, or I’m reading other writers’ works for sheer pleasure, or I’m marketing, which means I’m scheduling book events and blogging. I’m new to blogging and am enjoying the blog as another form of writing. Blogging is like journaling, except for me, I’m not keen on writing the personal, diary-like parts. When I did journal years ago, I poured my heart onto the pages, took a look at what I wrote and threw the journal away. I would never want another person to read such angst and I didn’t appreciate feeling it, let alone regurgitating it into written words. Other people relish the catharsis of journaling more than I ever did. To me, blogging is fun. I just spout happy thoughts across the page. When I read for pleasure I gorge myself on books. With the e-book reader I don’t always know how many pages I’ve read, since the pagination is often by percentage. I once completed a Brandon Sanderson epic in a weekend without knowing it was over 1000 pages. I propped the e-book on the counter as I cooked and while I was on the phone, and kept reading. How many of us have read until the dark hours of the night? When I was a child, I read as I walked to school. Yes, I was a weird one. I’ve read so many hours in a row that I’ve gotten headaches behind my eyes. I hold a cold rag to my forehead with one hand and reach for my book with the other. When my two boys were growing up, I read to them during the hour before their bedtime. This lasted until they were in middle school. Our last books were full novels, such as The Hobbit. They would bring home Scholastic Books brochures and we poured over them together, picking out new books to buy for a great price. I discovered a whole new generation of kids’ books that I loved as much as they did. I would never have read The Hitchhiker’s Guide to the Galaxy by Douglas Adams if my sons hadn’t brought that one home. Now my adult children and I talk about books they’ve read and they often recommend books to me. But my favorite genre is the cozy murder mystery, the feel-good, funny, light-hearted amateur sleuth bumbling around solving crimes. That’s the genre I write. I find the books on the craft of writing fascinating and have a long list I can recommend if anyone is interested. Those books inspire me during whichever work-in-progress I have going. I often jot notes in the margin about current character development or alternate plot lines. If I go back and reread any, I’ll find notes having to do with books completed long ago. I’m starting the last book (book #7) in The Dinner Club Murder Mystery series. The last is bittersweet, since I’ve lived with these characters for a few years now and they have become my friends. But another series is nudging them to get out of the way. And so, it’s time to get back to the writing. 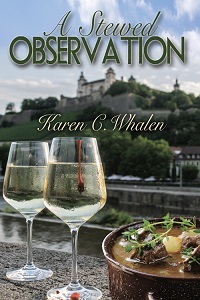 The fourth book in the series, A Stewed Observation, was released on August 6, 2018 and is now available at: Amazon for Kindle. 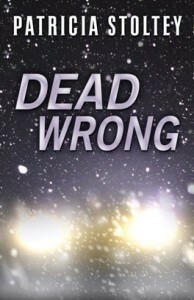 It can also be found at the Wild Rose Press site, Barnes & Noble, and itunes. 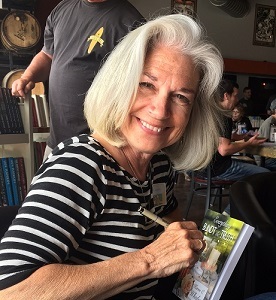 Karen C. Whalen is the author of a culinary cozy series, the “dinner club murder mysteries.” The first four in the series are: Everything Bundt the Truth, Not According to Flan, No Grater Evil, and A Stewed Observation. 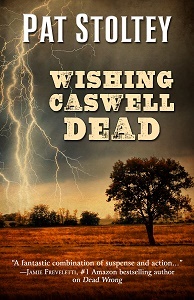 The first book in the series tied for First Place in the Suspense Novel category of the 2017 IDA Contest sponsored by Oklahoma Romance Writers of America. Her books are similar to those written by cozy authors Jessica Beck and Joanne Fluke. She worked for many years as a paralegal at a law firm in Denver, Colorado and has been a columnist and regular contributor to The National Paralegal Reporter magazine. She believes that it’s never too late to try something new. She loves to host dinner clubs, entertain friends, ride bicycles, hike in the mountains, and read cozy murder mysteries.